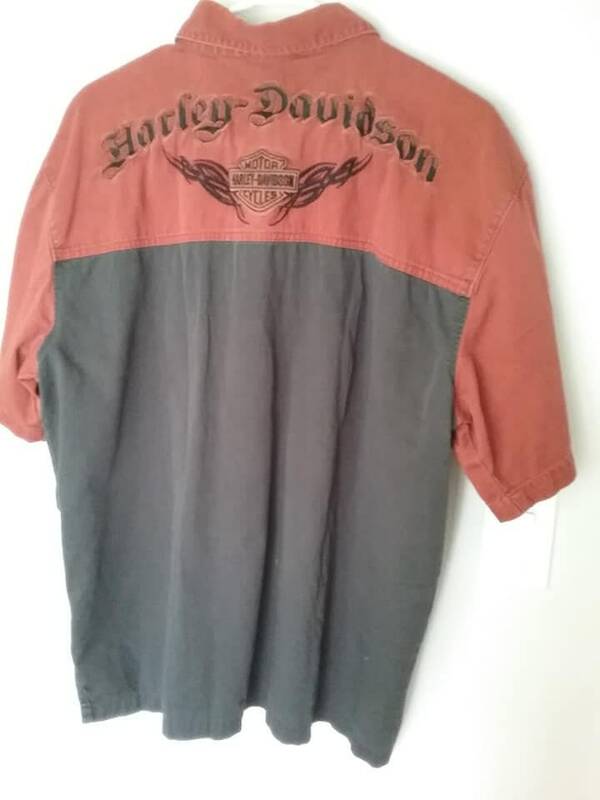 Vintage Harley Davidson, black and rust colored, short sleeve. 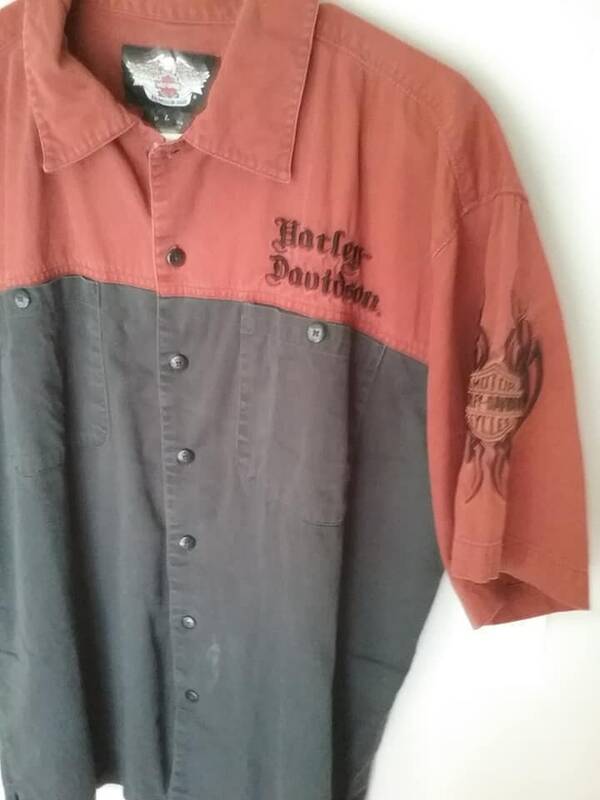 Always desirable, this is 100% cotton, and embroidered Mechanic's shirt. 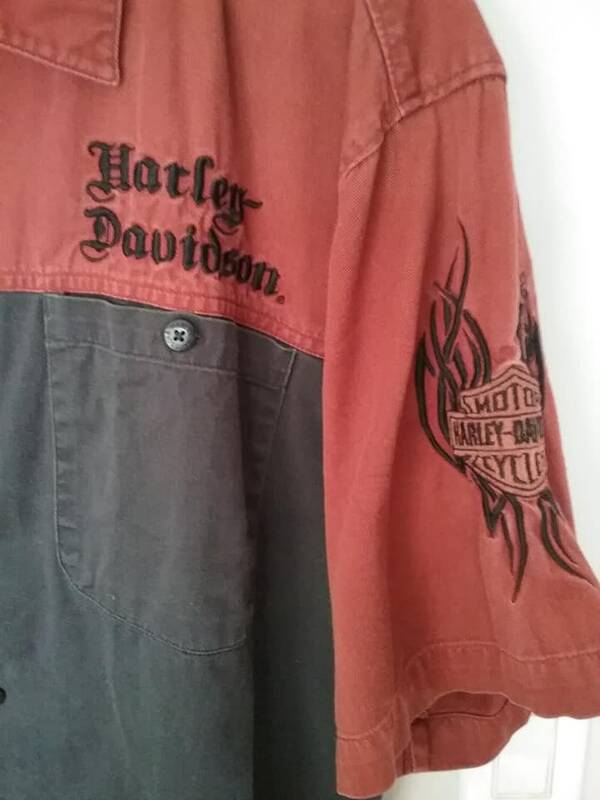 Approx measurements laying flat and buttoned up are, armpit to armpit - 23", back collar to hem - 29", and seam to cuff - 10". 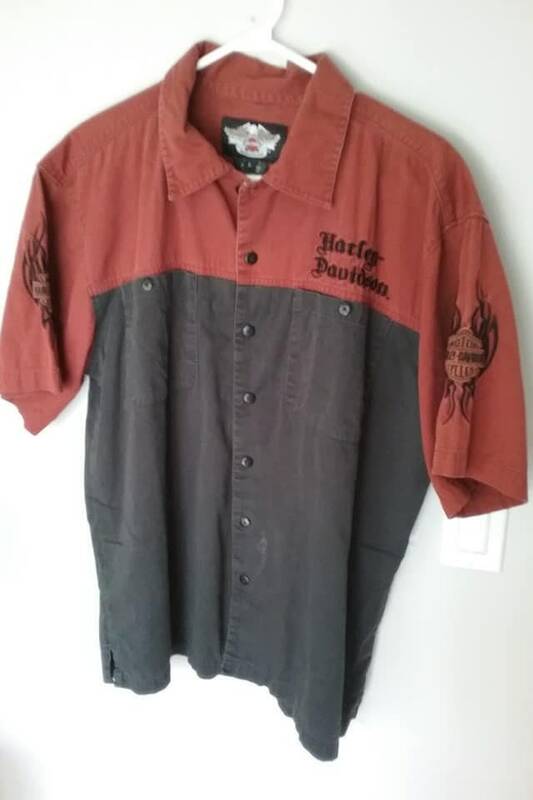 This shirt is in good to very good vintage condition. 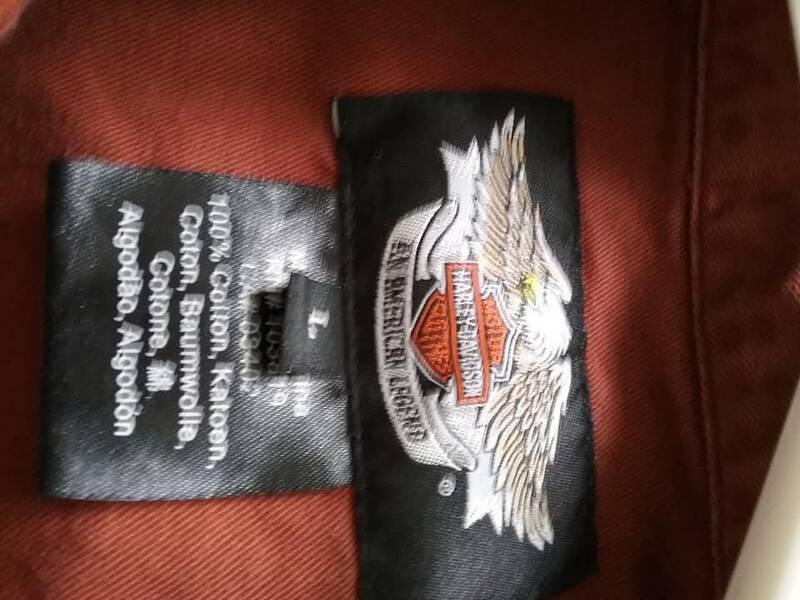 After all....if its Harley....you know "quality" is in the name! 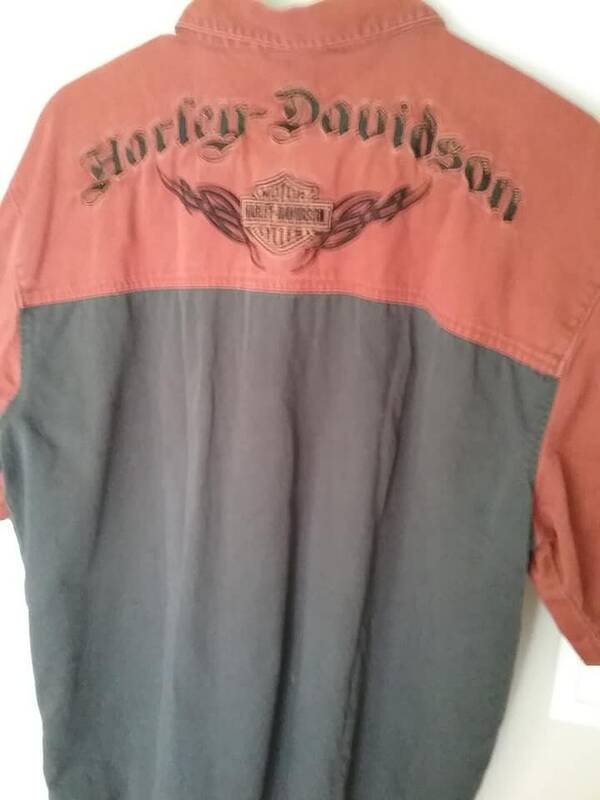 A perfect gift for the motorcycle enthusiast....for the love of a biker, its Harley Davidson.